There’s only one objective criterion you really use to rate a comedian. Does he or she make you laugh, or not? On that basis, I have always been ready to forgive Alexei Sayle his politics, in either their pro-Albanian Maoist or repentant former tankie variants. 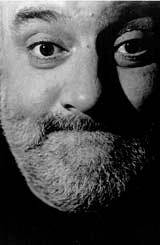 So readers … any opinions on the merits of Sayle as a funnyman? And which do you hate more - Maggie or Tony?